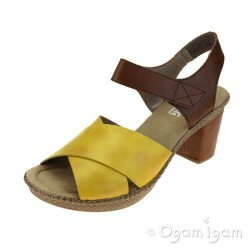 Rieker dips into the rose gold trend with this pretty wedge sandal, with a metallic rose pink upper and elegant silver gem detailing. 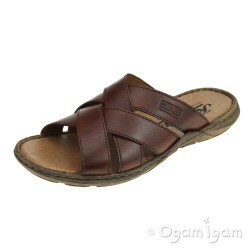 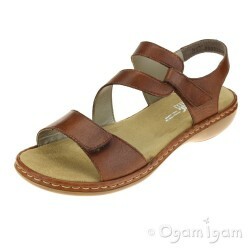 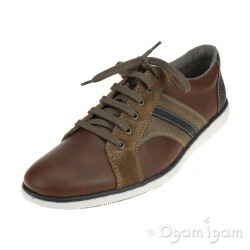 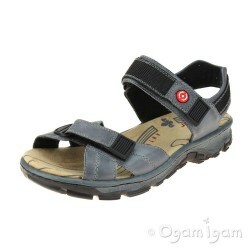 It sports elasticated straps for a comfortable fit and a soft cushioned inner sole. 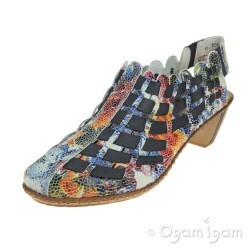 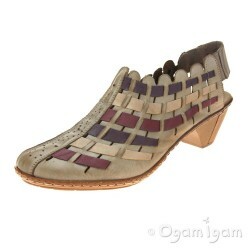 The shoe has a delicate wedge with faux raffia effect. 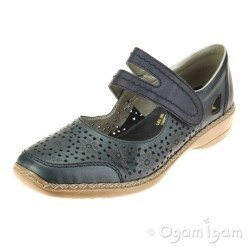 The perfect accompaniment for both summer dresses and trousers when the weather is cooler.